Here at Signature Smiles, we're proud to provide the people of Woodinville with great dental care. This includes effective restorative dentistry for serious tooth and gum health issues as well as cosmetic procedures that improve the overall beauty of a smile. Many patients who come to our practice have issues related to broken, fractured, or cracked teeth. Let's take a moment to consider the ideal treatments for these kinds of issues. If you have a tooth that has been serious damaged in a physical altercation or accident, there are a number of serious dangers to keep in mind. For major tooth injuries, people will likely experience serious pain and discomfort as a result of the injury. There is also the danger of a chipped, cracked, or otherwise weakened tooth breaking further if untreated, and perhaps even falling out. In addition to the above, root canal infections are a serious danger. When bacteria infects the pulp at the center of a tooth, this can be quite painful, and endodontic therapy is necessary to save the tooth and halt the spread of infection. 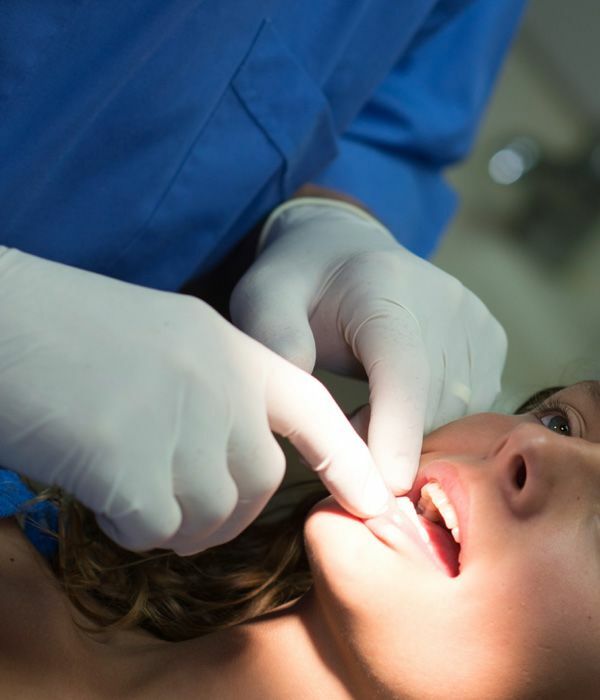 This is why the following restorative measures are considered after suffering a serious dental injury. Predominantly cosmetic in nature, dental bonding treatment uses tooth-colored dental resins that are painted onto a tooth. These dental resins mask a chip or crack and offer some degree of protection from further harm. A small dental restoration commonly used for cavities, a dental filling can make a lot of difference if you have experienced a tooth injury. They rebuild tooth structure and prevent further tooth damage in the process. For more serious cases of fractures and damage, inlays and onlays are generally ideal. These kinds of restorations are able to replace the entire cusp (biting surface) of a tooth or multiple teeth if necessary. For major tooth damage, a dental crown is typically ideal. These are caps that are used to cover an entire tooth's remaining structure, protecting it from harm and offer strength and support to bit and chew as one normally would. When dental fractures are extremely severe and a tooth cannot be saved at all, it's best to extract the tooth. This prevents a number of serious health and wellness issues from occurring. Options for replacing the missing tooth or teeth can be discussed, such as a dental bridge or denture. As you can see, there are plenty of options available to address tooth damage. If you come to us with a fractured tooth, we will be more than happy to cover all of these options in full detail, tailoring the procedure to meet your needs. For more information about treating tooth damage and other issues regarding overall structure and stability of your teeth, be sure to contact our family dental care center today. The team at Signature Smiles is here to help you have the healthiest and most beautiful smile possible.